An escalator can be a dangerous place for your dog. 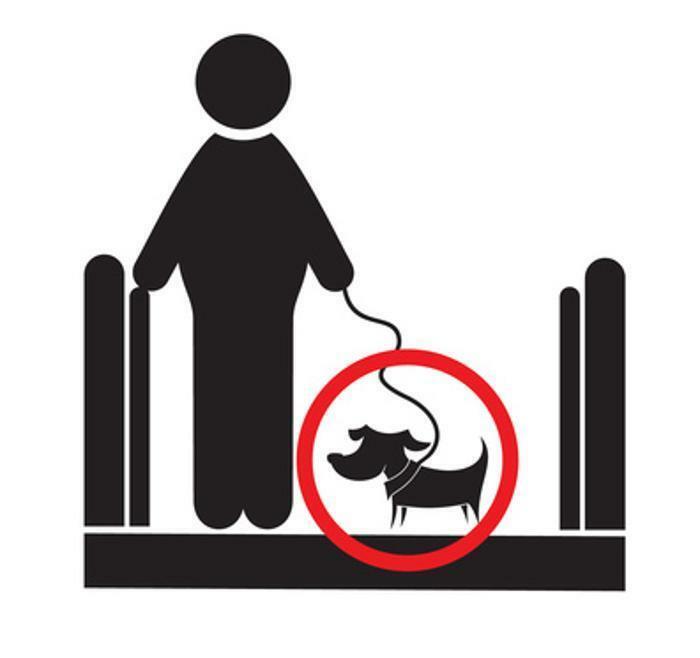 So dangerous, the San Francisco SPCA (Society for the Prevention of Cruelty to Animals) has put out a warning, saying the escalator can cause serious injury and in some cases require amputation of a limb. In the past year the organization has seen injuries on an average of two or three a month. according to Dr. Roger Helmers, a veterinarian at the SPCA who says they seen all kinds of things -- like lacerations to a nail, a toe being torn off and a skin injury from fur catching in an escalator. Sometimes a whole toe gets torn off and the dog comes to the clinic with a toe already missing. Seems like the smaller they are the harder they fall and the little dogs get injured more often than the big dogs. More than half require surgery that costs as much as $4,000. Escalators are everywhere so it's not just San Francisco that sees the problem. If you have ever gotten a heel or even a shoelace caught in an escalator you can empathize on some level. To prevent such injuries, the SPCA suggests pet owners carry their dogs on escalators, or use the stairs or an elevator. Additionally, booties can be used to protect dogs' paws. Dog booties can be purchased online or at pet supply stores. And, if all else fails, get your dog to a vet right away if it is injured. Does your dog need a therapist? What is it about dogs and their owners?